CES was a fascinating show this year. One of the things that made it so fascinating was that everyone and their brother had cars demonstrating one form of technology or another. It kind of makes me wonder what we’ll see at the next car show — PCs, drones, tablets and smartphones? That wasn’t the only surprise at the show, though. Nvidia, long thought of as living in Intel’s shadow, broke out, taking over the prime keynote spot in a big way and demonstrating that it has all but cornered the market for car brains. I’ll close with my product of the week, the most important product at CES. Apple for decades has rubbed Dell’s face in the fact that it builds a better creative set of products. When Apple launched the iPhone, it embarrassed all of CES by pulling virtually all attention away from the show. Well, this year, Dell got even. Dell formally launched two products, the XPS 27 and the Dell Canvas 27, which together make the iMac look like last decade’s solution. Which it kind of is if you think about it. Dell got there by bringing in a bunch of artists to help define the products. Animators, musicians and engineers worked together to create their dream tool, basically a touchscreen all-in-one with studio monitor speakers, incredible performance, and a touchscreen work surface that can transform into any digital interface the job requires. This interface can represent everything from digital musical instruments to an animator’s canvas and digital ink. It can be pretty much anything the user or an application developer could imagine. The CEO of Avid, along with an animator and a number of musicians, raved about the product at CES, and it made the latest iMac look pitiful in head-to-head comparisons. Now that’s revenge served cold. Nvidia is now the fastest-growing company in the fortune 500, according to the head of CES, who opened for Nvidia CEO, Jen-Hsun Huang. I don’t think many understand how amazing this is. Nvidia has long been viewed as a small player when compared to Intel. Like all of the PC companies, Nvidia bet heavy on mobile and lost badly. After its Tegra mobile platform seemed to crash and burn, many thought Nvidia was done. Then it pivoted like I’ve never seen a company pivot before. It doubled down on graphics, pushed hard on gaming, and made huge bets on deep learning and artificial intelligence — and you know what? Those bets paid off — oh man, did they ever pay off — and now Nvidia pretty much has the market cornered for self-driving cars, and it supplies a critical part of the deep learning solutions of every major IT vendor. You have to admit that is pretty impressive. One of the most impressive marketing efforts I’ve ever seen is Corning’s “A Day Made Of Glass.” It is visionary, and it not only makes you believe in a future with tons of touchscreens and smart windows, but also makes you want to live in that future. Well, Corning pulled out all the stops at CES and commissioned a car with displays all across the dash, in the steering wheel, in the doors, and even replacing the license plate. It is actually a pretty decent car — racy, electric, and apparently very fast. Sadly, I didn’t get to drive it. The Gorilla Glass Windshield is one of the most interesting parts. It not only resists nicks and scratches, as you’d expect, but it is substantially lighter, far clearer, faster to defrost, and works better with heads-up displays. Even the roof is glass — smart glass, in this case — that can be electronically shaded. The display license plate makes sense, given that it would be digitally connected to the car, arguably more secure, and could be used to broadcast a signal in the event of a stolen car or driver in distress. It never really occurred to me that a true home robot solution would require a family of robots, each with different skills to complete tasks around the house. A small robot to greet you at the door and patrol the home protecting it from bandits could be supplemented by larger robots that could clean and maintain the home. That approach would be far better than trying to build a single robot to do everything, which is often the science fiction solution. The idea of a family of robots, each specialized to do a series of tasks, just makes more sense — and you have to admit that living with a robot family just seems kind of cool. Given that one of the robots likely would be your autonomous car, the biggest robot could be impressively large. I should add that Panasonic showcased its idea of an autonomous car, and it was more like a rolling sitting room, with tables and chairs. If you don’t have to drive, there are likely a lot of other things you’d want to do during that time. CES marked the coming-out party for AMD’s latest processor, now named “Ryzen.” The company showcased some of the coolest PCs I’ve ever seen at its cocktail party, and I honestly had lust in my heart for a large number of them. Most of the PCs on display were water cooled, with water blocks for the major components. Some even had coolant that looked like blood. I thought I’d entered techno geek heaven, and it was hard not to drool every time I turned around. AMD is another company that is firing on all cylinders. Expect to see some amazing hardware when these PCs hit the market in a few months. I’m writing this after midnight on my last day at the show. I’m beat, but I’m also kind of excited about the future. These products all promise a future when our homes will do much of the work, when we won’t care much about traffic because we are being entertained or sleeping and not driving, and when company turnarounds actually work. 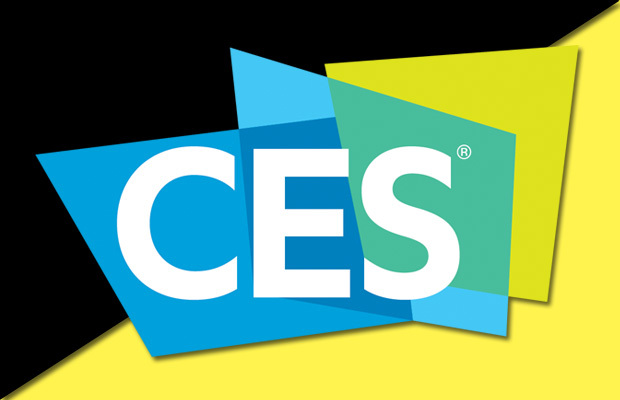 CES promises that this future not only will be amazing, but also will arrive far sooner than most expect — and I think that is very cool. The product that most stood out for me at CES is Norton Core, a router and security solution from Symantec. You see, with all of this connected and ever-smarter stuff, we really, really need to be secure — and our home networks are anything but. What makes the Norton Core router special is that it secures not only against outside attacks, but also against inside attacks, and it is part of an overall solution in the home. It’s an overall solution because it is packaged with a subscription that contains 20 licenses for security software for your PCs, smartphones and tablets. Because it uses Qualcomm’s latest technology, it’s not only a strong security solution, but also is likely one of the highest-performing routers. It will be upgradable to support a mesh network, allowing you to cover even the biggest home with WiFi. It is even pretty cool to look at, bringing back the geodesic dome and placing a halo light at the bottom for effect, so you can feel good about putting it in the open. With all of this connected stuff, we desperately need a better home security solution. With Symantec’s Norton Core, we get one — and thus it is my product of the week.